Kris tells us how he started Ardor Media Factory, provides strategies for improving traffic to our websites, and tells us tactics we can use to manage our brands online. 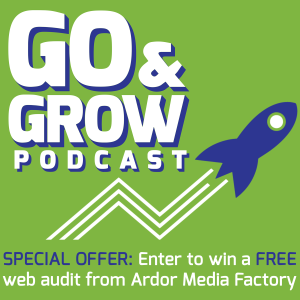 Today’s guest is Kris Reid, CEO of Ardor Media Factory and Ardor SEO. Back in the day, Kris was a Software Engineer who has worked across the world for variety of companies, from small tech startups to giant conglomerates like Visa. 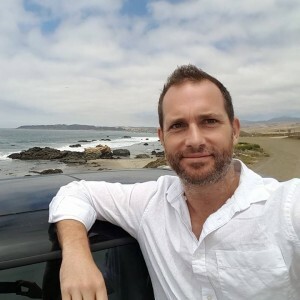 He took a hiatus from the corporate scene to backpack around the world, and during his tenure as a traveller, he learned the art of Search Engine Optimization (or SEO) and started developing tools to help people rank their websites, which became the genesis for Ardor Media Factory and Ardor SEO. Kris is also known as the Coolest Guy in SEO. To prove it, he has an offer for the Go and Grow audience. The first thing Ardor does for any customer is a comprehensive website audit. They look at every one of the 200 points that Google uses to rank websites – usually it comes out at 60-80 pages of analysis. Follow this link, fill out the form and you will have a chance to win the free website audit. We’re going to learn the basics of SEO, how to improve SEO for your websites, and tactics you can use for personal brand management. 7:50 – Ardor Media Factory also has a reputation management service. 9:00 – Preemptive brand reputation management involves making sure you have all of your domains and social profiles (to avoid parasite SEO), for yourself and for your business. That protects at least one spot in your google search results. 11:35 – How does one get good backlinks? Look for broken links. For example, if there is an old resource page (like you might find on a University website) with a broken link, and you have an article with the same information, you can reach out and provide your own backlink. 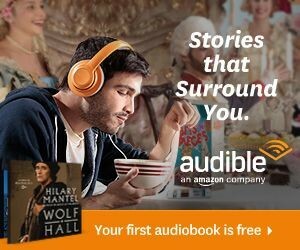 Look for outdated guides (e.g. “The Best Plumbing Tools of 2014”), and offer to help update it. The blogger gets updated content, you get a new backlink, and everyone wins. 15:40 – It takes a lot of time communicating with people, but you’ll get really good quality links. 16:35 – There’s a thing called Spun Content, and it will find articles then replace words in them. This can create bad links to your content. 20:40 – One way to rapidly increase your traffic is to look at all of the key words for which you are on page 2. If you can tweak them and get them onto the first page, you can get a significant amount of traffic. 20:55 – The number one spot on Google gets ~33% of traffic, number two gets ~18%, and then it drops off rapidly. The whole second page gets less than 1%. 24:30 – The more logical you can make your website, in both structure and content, the easier it will be for users and the easier it will be for Google. 29:50 – It’s difficult to scale the consultation-driven sales service without hiring more personnel, so Ardor is transitioning back to more of a marketing role. Kris is writing a book on digital marketing to build authority and provide value. 33:05 – Make sure to track your metrics and your finances! You may find yourself losing money. You can find his contact details on our contest page, GoandGrowPodcast.com/Ardor, email him at kris@ardorseo.com, or tweet him @coolestGuyInSEO.